Art In Offices were featured in a two page spread in the April edition of Premier Hospitality, covering their suppy of sculpture to Hotel Gotham. 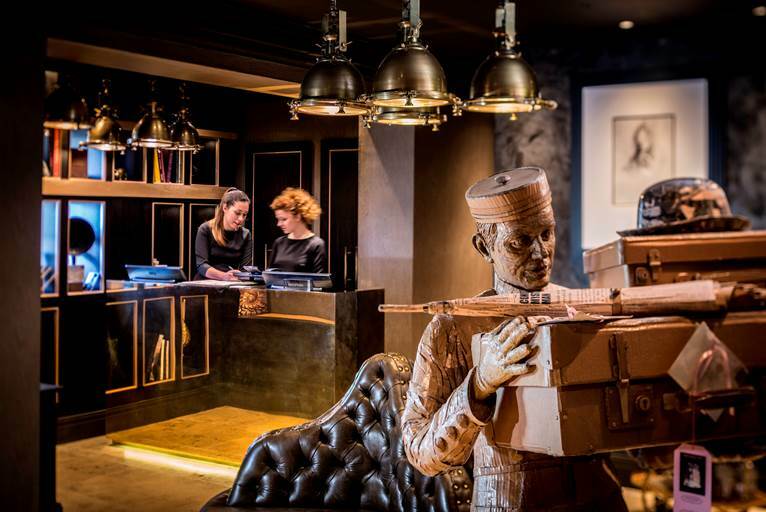 Art In Offices supplied two very life-like cardboard sculptures, formed to look like a butler and a bell boy. We also supplied an umbrella stand sculpture which looked like the internal workings of an oldfashioned bank vault door.